Does it seem like everybody you know is declaring that they're gluten-free? Some wonder if the number of people with celiac disease are on the rise or if it's the latest fad diet. And it even goes beyond food: now there are beauty products that tout themselves as being free of gluten. Gluten is a complex topic. Simply put, it's a protein found in wheat and several wheat subspecies. When you add liquid to flour and stir, gluten is activated. Gluten gives bread its unmistakable chewy, elastic texture and fluffiness. It's the reason behind the airy, delicate crumb in good cakes. Thank goodness America's Test Kitchen is here to show us dummies exactly what gluten is, how it works, and what it is "on a tangible level," as Dan Souza, senior editor of Cook's Illustrated put it. Watch the video below and you'll see what happens when Souza makes two doughs: one with bread flour, which contains the highest amount of proteins that form gluten, and one with cake flour, which contains the least. Next come two very graphic demonstrations: one in which he rinses away the starch in each dough to leave only the gluten behind in its purest form and another where he blows up the gluten from one dough like a balloon to demonstrates its elasticity. Turns out the gluten in bread flour is necessary to help it rise and develop those nice, chewy, airy holes. In cakes, gluten gives cake a little bit of structure, but its presence in low amounts keeps the cakes delicate and tender. All of which means you might think twice before swapping in one type of flour for another in different recipes—as well you should. Would you go on a gluten-free diet? I am dismayed that my gluten is constantly being taken away. First it was MSG, now gluten! Stop the madness! I'm already on a gluten-free diet! I lost 40 lbs. going gluten free. (Although I've put some of that back on.) I will admit that it may something to do with the corresponding reduction in carbohydrates as much as it does the gluten, but when you get the results, you don't really care so much what it was. This article title is misleading. You write of only wheat gluten though gluten is found in many grains not just wheat or wheat subgroups. 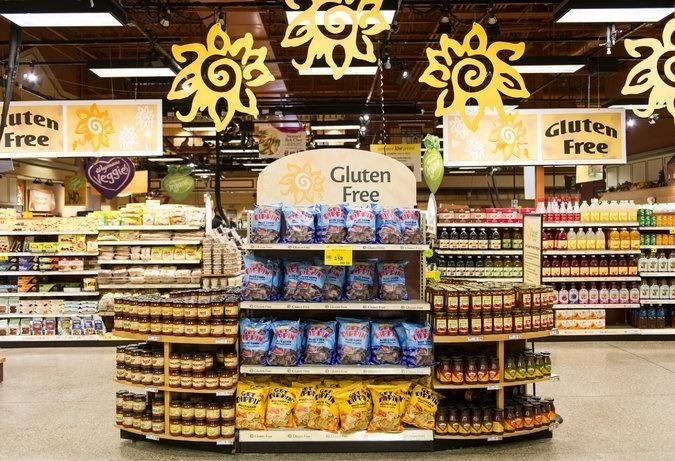 Unless you are suffering from celiac then buying gluten free is like throwing your money down the drain and denying yourself of many pleasures. I would go as far to say that even if your doctor told you to go gluten free you really should stop wasting your money, that is unless you are a celiac sufferer. Why, because the likely hood is that your problem is wheat, white processed, modified for mass consumption wheat not gluten. There are many alternatives that contain gluten such as buck wheat, spelt wheat which all contain gluten, but are fine. The specialist food companies know this sadly your local doctor if anything like mine does not. As for anyone who chooses to be gluten free, I would suggest you research fads before just doing what your magazine or blog told you to do and it's not the gluten free diet helping you lose weight but the lack of wheat.